Inflammatory responses recruit and activate macrophages in gastric mucosa. of surrounding gastric cancer cells, which contribute to gastric tumorigenesis. Although activation of Wnt signaling causes dysplastic changes of gastric epithelial cells, it is not enough for gastric tumor formation. 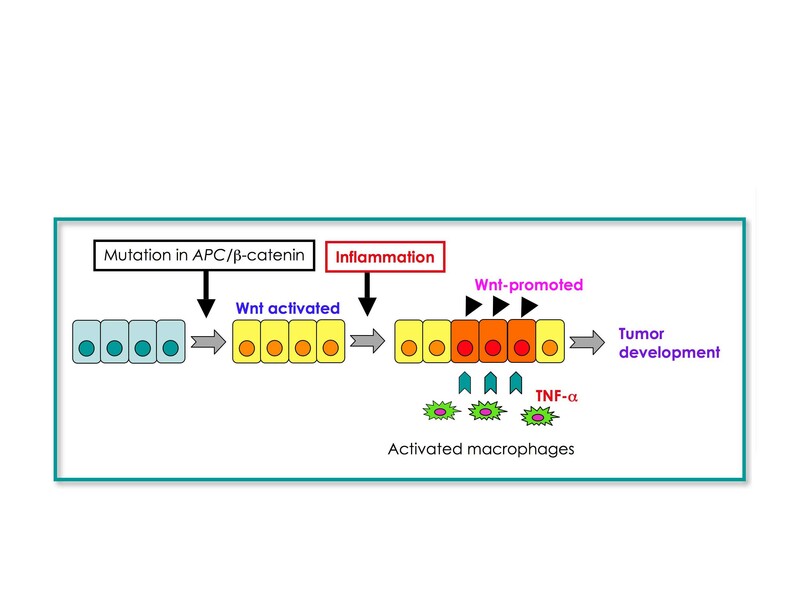 Cooperation of Wnt and COX-2 pathway result ingastric tumor development. 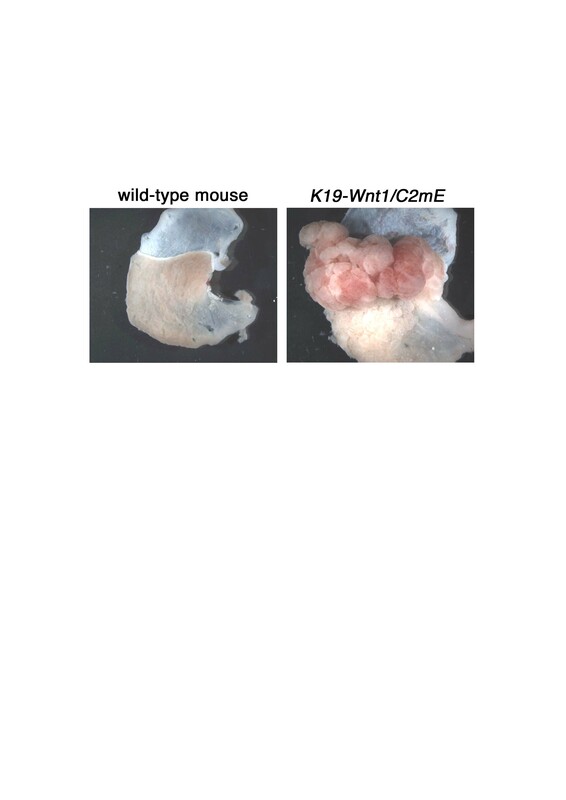 We have genetically demonstrated such crosstalk in gastric cancer development by construction of K19-Wnt1/C2mE mice.